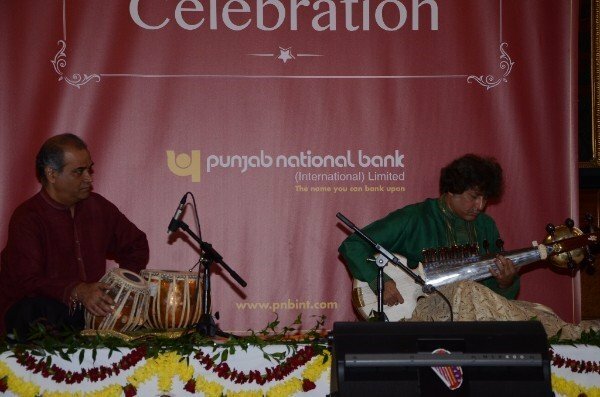 The iconic dome of Chelsea Old Town Hall reverberated with the symphony of Indian classical music to celebrate the tenth year of inception and ninth anniversary of banking of the Punjab National Bank International Limited (PNBIL). While the arhitecture of the town hall boasted of British heritage, the crowd was left mesmerised by the musical performance by the Indian Classical Maestros Pt. Partho Sarothy on the Sarod accompanied by Pt. Rajkumar Misra on the Tabla – adding an Indian flavour to the event. 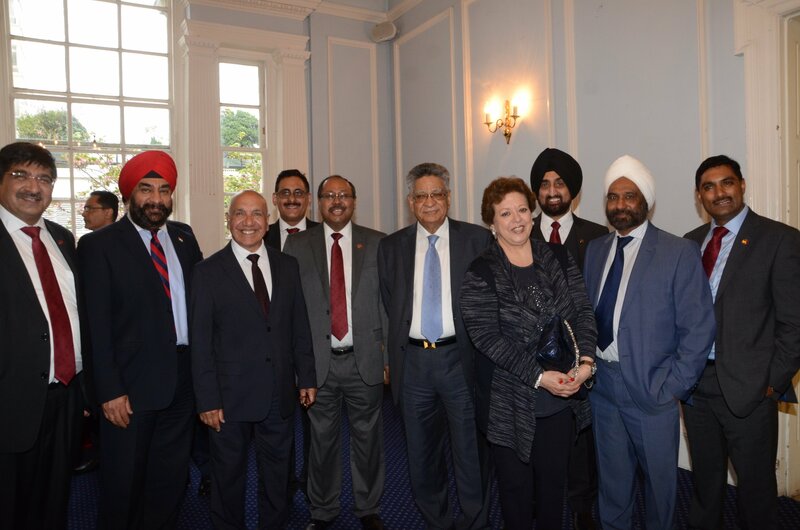 The event was attended by the banking fraternity, business men and politicians and seen at the event was MP for Ealing Southall Mr Virendra Sharma, First Secretary High Commission of India to the UK Mr MP Singh, Chairman of Sunmark Dr Rami Ranger, Bank of Baroda’s Chief Executive Mr Dhimant Trivedi, MD and CEO of Union Bank of India (UK) Limited Mr Brajeshwar Sharma and Deputy CEO of Union Bank of India (UK) Limited Mr Anand Kumar. Speaking at the event the new MD of PBIL Mr Antanu Das thanked well-wishers, customers and the fraternity for standing by the banks journery making it not only a successful Indian bank but a challenger bank in the UK.